10/27/17 FYSF, Win a Thirsties Natural OS AIO Cloth Diaper! This week we're featuring another favorite brand of ours! To celebrate the upcoming stocking of Thirsties NEW Sweet Dreams Collection were giving Diaper Junction fans the chance to enter to win a Thirsties Natural OS AIO in the color, print and closure of their choice from our in stock selection! 10/20/17 FYSF, Win a Diaper Rite 3.1 OS Cover & 3pk of Diaper Rite Prefolds! 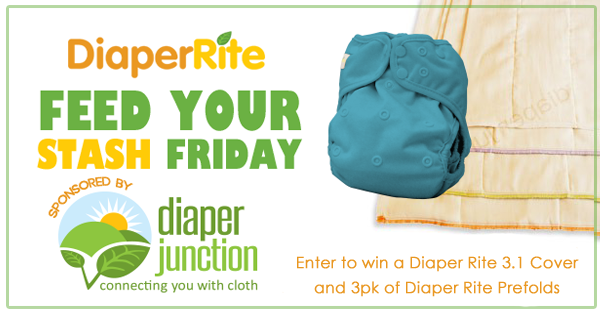 Enter to win a Diaper Rite 3.1 OS Diaper Cover and 3pk of Diaper Rite Prefolds! 10/13/17 FYSF, Win a GroVia O.N.E. Cloth Diaper of your choice! 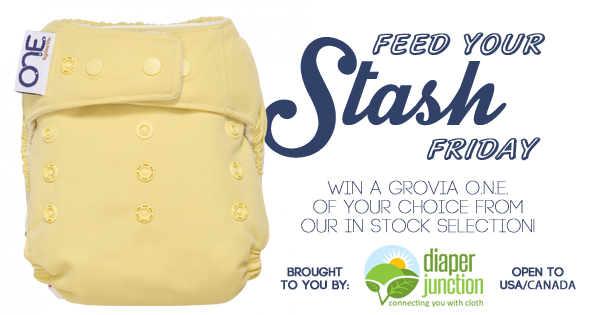 It's time for a Feed Your Stash Friday giveaway! We have decided to give you all a chance to win any GroVia ONE diaper of your choice from our in stock selection. 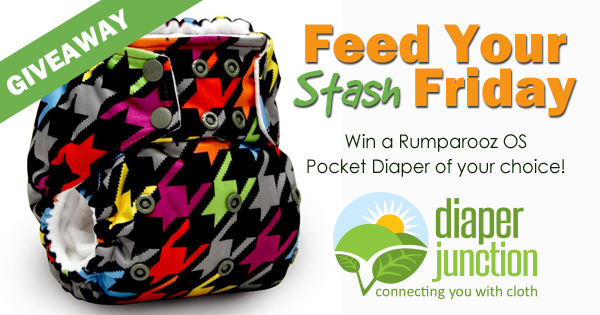 10/06/17 FYSF, Win a Rumparooz OS Pocket Diaper of your choice! This week we're celebrating the reveal of Rumparooz NEW Care Bear print cloth diapers with a giveaway! One lucky winner will gt their pick of any in-stock Rumparooz OS Pocket Diaper from our store!